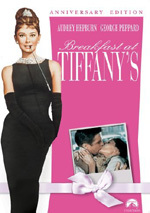 Won for Best Actress-Audrey Hepburn; Best Writing; Best Costume Design. Nominated for Best Picture; Best Director; Best Supporting Actor-Eddie Albert; Best Screenplay; Best Cinematography; Best Art Direction-Set Decoration; Best Film Editing. What film does this list describe? 1953�s Roman Holiday, a flick that centers around a bored princess who wants to break away from the constraints of royalty and live a �normal� life in the outside world � if only for just one day. The film offers the antithesis to the original Cinderella story: rather than partaking of the upper-crust existence, our heroine wants to see how �Joe Six-Pack� lives and exist in his world. While a love story between a commoner and royalty was hardly a new topic � even in 1953 � the film managed to strike a chord with audiences, as evidenced by the aforementioned Oscar nominations and wins. Roman Holiday accomplishes what not many films can: crossing multiple genres and crossing each of them quite successfully. It is easily one of the most charming films to ever hit the big screen and manages to be romantic, dramatic, bittersweet, and funny all at the same time. 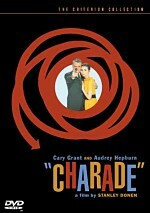 One of the better films of the 1950s, it�s one of reputed director William Wyler�s best outings. It also has the splendid distinction of introducing the world to Audrey Hepburn, one of the classiest and most beautiful women to ever walk the face of the earth. 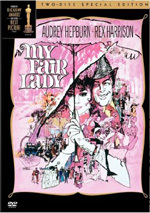 In an interesting story found in the DVD�s extras, Gregory Peck recalls a conversation he had with the studio where he demanded that Hepburn, in her first �big� role, receive equal billing in the film�s credits. He swore that the young actress would win an Academy Award for the role and that it would be foolish for the studio to simply credit her as �introducing Audrey Hepburn�. Peck was right on all accounts and seemed to perceive the elusive �it� that Hepburn had in droves. Hepburn plays Ann, a princess from lands unknown on a goodwill tour of Europe who has made a stop on Rome. The tour includes a lavish party thrown by her country�s ambassador that features a large gathering of dignitaries. Like all good princesses, she waits in an endless receiving line to meet and greet each and every one. After this, she retires to her bedroom to rest up for another long and tiring day of much of the same � photo ops, public appearances, as well as other suffocating and rigid royal duties. Because of all of this, Ann dreams of life �on the outside� and wants nothing more than some time alone. After an unusually agonizing day, the princess freaks out and in order to calm her down, her assistant calls the royal doctor for a tranquilizing shot. However, before the drug takes full effect, Ann is able make a clever escape from her royal handlers and she soon finds herself alone on the streets of Rome with nowhere to go � and quite drowsy. Hours later, American newspaperman Joe Bradley (Gregory Peck) finds the groggy princess on a park bench. Bradley assumes she�s intoxicated and offers her a cab ride home. However, she mumbles some incoherent and slurred statements and mentions that she�s staying �in the Coliseum� and therefore, he decides it might be better to take her to his apartment and allow her to sleep everything off. Things then take a turn for the unbelievable as the next day, the local papers report that the princess has taken ill and has cancelled all of her appointments for the day. After seeing the article, Bradley realizes that royalty is sleeping on his couch and decides to keep the information to himself in order to leverage his newfound scoop. Bradley convinces his boss that he can get an exclusive interview with the missing princess. His boss agrees and Bradley comes up with a plan to gain the princess� confidence. Bradley follows Ann through town and after finally catching up with her, he tries to act surprised at another �chance meeting� in Rome. However, Ann doesn�t know that Joe knows who she really is and she tells him that she is simply a student that has run away from school � Joe simply tells her that he�s a salesman. As such, he offers to take her on a tour of the city and she excitedly accepts. However, as the two spend more and more time together, Bradley begins to genuinely fall for Ann and must deal with the inner turmoil this causes him. Should he continue to work on his scoop or let Ann know of his true feelings for her? Over the course of the film, we see a transformation in Ann, as she realizes the timid and frightened person she was and the type of person that she must become in order to be an effective leader for her people. Joe on the other hand stood the most to lose and in a sense, he did. He doesn�t get the story he promised his demanding boss and he loses someone he was falling in love with to a sense of duty, honor, and leadership. However, if it all worked out in a tidy and happy ending, the movie just wouldn�t be the same. The ending, as with the movie itself, is in a word � perfect. The movie is as timeless as Hepburn herself and remains as one of the staples of a classic Hollywood romance. 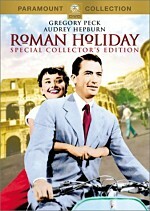 Roman Holiday appears in an aspect ratio of 1.33:1 on this single-sided, double-layered DVD; due to those dimensions, the image has not been enhanced for 16X9 televisions. Only a few minor concerns emerged during this solid transfer. Edge enhancement was the primary problem here. The haloes never became heavy, but I noticed them on occasion, and they created mild distractions that sometimes affected sharpness. While most of the movie appeared crisp and concise, a few wider shots demonstrated light softness. Nonetheless, the image mostly came across as well-defined. No issues with shimmering or jagged edges materialized. Source flaws were also a minor concern. I noticed marks during the opening �newsreel� but felt those came from the source and weren�t a transfer issue. Otherwise, a few blemishes popped up during the film, but not anything significant. Blacks looked deep and firm, and the movie exhibited good contrast. Low-light shots also appeared clear and smooth. Overall, I felt quite impressed by this satisfying presentation. While not as impressive, the monaural audio of Roman Holiday seemed perfectly acceptable for a 55-year-old effort. Speech always seemed concise and natural, with no edginess or other distractions. Music lacked much range but came across as clean and acceptably clear. Effects showed decent definition, and the track came essentially free from defects. This was a solid little mix. Starting things off is Remembering Roman Holiday (25:29), a nice retrospective documentary about this wonderful film. The supplement covers all aspects of the film starting with a bit of biographical information on William Wyler and the screenwriter, Donald Trumbo. Interestingly enough, Frank Capra was originally supposed to direct Holiday, but turned the job down when he found out that it was written by Trumbo, a blacklisted writer during the era. The extra also covers certain areas such as casting (Elizabeth Taylor was originally slated, but wasn�t available and Cary Grant simply turned down the lead male role) and obviously, a lot of time is spent giving us some biographical and historical information on the leads. Also covered are other subjects which include wardrobe and costume design, shooting on location in Rome, and eventually, the many awards and accolades the film and its stars received. The archival footage included in this piece is incredible and alone, is worth the price of admission. However, we get a great documentary to boot and ultimately, Remembering was a great way to revisit a classic film. As I mentioned earlier, Paramount went through great pains in restoring the print for Roman Holiday and that�s covered in a nice little supplement entitled Restoring Roman Holiday (6:51). Via interviews with some Paramount execs and department heads, the piece shows us all of the work that went in to restoring this film for the DVD. This provides a good look at the efforts put into the restoration. Next we find a nice feature on Edith Head, the costume designer for Roman Holiday and other classic films such as To Catch A Thief, Funny Face, White Christmas and A Place in the Sun. Entitled Edith Head - The Paramount Years (13:42), we chronicle the career of Head via interviews with David Chierichetti (Biographer), Tzetzi Ganey (Costume Designer), Bob Mackie (Fashion Designer), and Rosemary Clooney (Actress). Across this show, we learn quite a bit about the 60-year career of this incredible costume designer. Finishing off the disc are a collection of Photo Galleries that are broken in to multiple sections. These include �Production� (36 images), �The Movie� (43 images), �Publicity� (13 images), and �The Premiere� (8 images). If you�re a fan of still images, you should really enjoy this section, as the images are documenting a classic. While this was definitely a nice addition to the disc, the few images we are given don�t seem to be quite wide-ranging and all-inclusive enough. Even so, it�s a nice effort. Paramount, not known for putting out any sort of memorable �Special Edition�, has done a really nice job with the DVD for Roman Holiday. The DVD contains some decent extras, has received a marvelous new transfer, and contains a classic film to boot. Highly recommended.